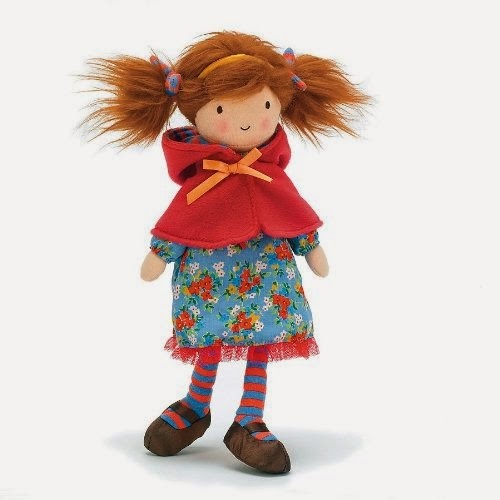 Jellycat's adorable Red Riding Hood plush doll stands 12 inches tall. She wears a flowery blue folk costume, with red felt cake and cheerful striped stockings. Her red hair is tied back in frizzy wild pigtails. 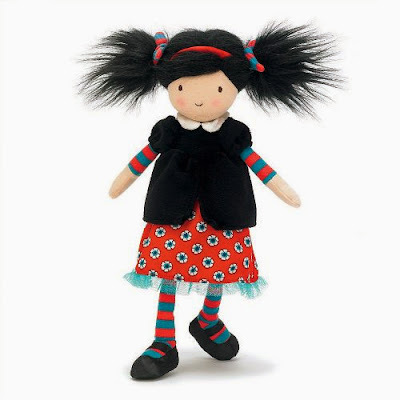 The Jellycat "Snow White" Fairytale Folk Doll also has frizzy pigtails (hers are black, in keeping with her storyline). She wears a red, white and blue flowery dress, plus a black jacket. I love that she too has striped stockings! 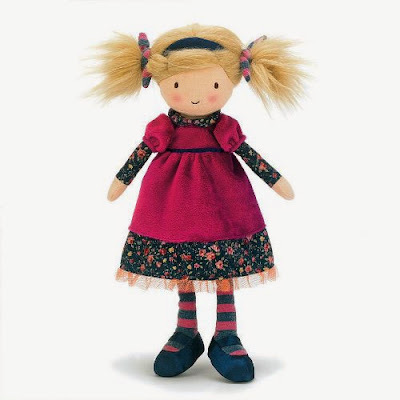 The Sleeping Beauty Fairytale Folk Tale Plush doll has frizzy blonde hair, a cute burgundy apron, lace-trimmed peasant dress, and oversized shoes. I'm hoping Jellycat will also make Beauty from Beauty and the Beast, and Cinderella soon!